Seasoned general contractors who often run construction projects can become desensitized to the legalities of the construction process. Much of construction is legal given the costliness, time investment, and permanence of the business. The end user is always a human being whose safety and health should be ensured. The legalistic nature of construction projects ensures that all parties follow protocol and standards that will aid in public safety and welfare. Given that the essence of the business is fraught with legalities, general contractors and owners should not take the knowledgeable advice of an attorney for granted. It should be general practice, irrespective of the party’s knowledge of construction processes, to seek legal input. Contracts for the construction of a building or any other large structure will possess similarities. Certain differences will be the description of the work to be performed and the attached specifications. Other than that, the construction industry relies on boilerplate language to fill the pages of their contracts. Both parties become so familiar with these standard terms that they choose to not go over them diligently. Even though these industry standards do exist, not all construction contracts or projects are made equally. Certain parties will have their own unique nuances that may require a second look. That is when the review and advice of a knowledgeable construction law attorney is important. A change order essentially serves as an amendment to the master construction contract. The change order serves as the record of the change. The change can be an alteration of the services to be provided, an addition of services, or a change in the pricing. Both parties must read all change orders in order to approve them. The change order is an augmentation of the initial contract so it is worth the legal input should the addition result in a major difference to with the original document. With legal input, the party can discern possible legal issues before they come to bear. A construction defect in the design or construction of a building or a structure is typically a result of a design failure or the failure of a worker to perform in a work-like manner. Here, the reasonable expectation of the owner has not been met. Owners who discover defects should immediately make notice to the general contractor. In addition to making notice, they should seek legal input. An attorney can review the contract to determine the understanding the parties reached on the issue of defects. In addition, a less savvy general contractor will benefit from an attorney with state-based knowledge. This is because, some states, including Florida, have specific rules addressing how defects should be handled. Sweeney Law, P.A. is a construction law firm with years of experience advising general contractors and owners during all phases of the contraction process. 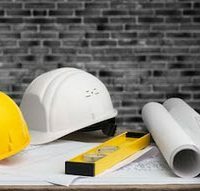 Florida construction law attorney Sweeney is here to guide you through any legal pitfalls that may arise during your project. Contact us now for a consultation.